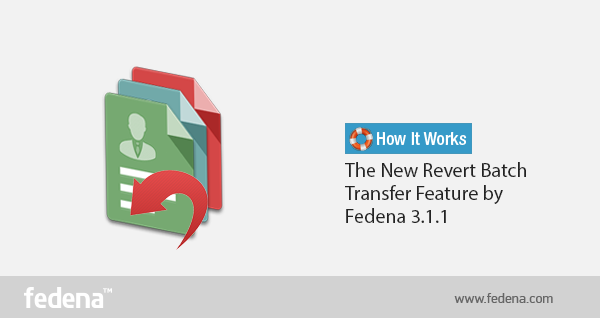 The new version of Fedena 3.1.1 now, allows you to revert a batch transfer that you have already done. What is the advantage of this feature? Well, there are times when some errors are noticed after a particular batch has been transferred to the next level. And this is when the revert batch transfer feature comes to your rescue. Revert the batch and fix any issues associated with the batch transferred. This is one feature was absent in earlier version of Fedena 3.1. To revert batch transfer, you need to login to your account and go to ‘Administration’ in the menu. Click on ‘Administration’ and you will get ‘Settings’. Select ‘Manage Course/Batch’ to go to ‘Manage Batch’. ‘Manage Batch’ will take you to the page where you can use the revert batch option. To revert any batch transfer, select ‘Revert Batch Transfer’ and go to the respective page. Select the particular batch for which you want to revert the transfer and you get details of the transfers that you want to revert. Once you select the transfers, select ‘Revert selected’ and you are done with your revert batch transfers. To check if everything has been done correctly, you can go back to the respective batch to check if the revert process has been done correctly. P.S: In case of revert batch transfer, there should not be any dependencies in order to make the transfer smooth.